Accessibility and Mobility for all ! The promotion of accessibility is an essential condition for the full exercise of citizenship rights enshrined in the Portuguese Constitution. People with disabilities expect all of us to use mechanisms and tools to build a society without barriers, to raise awareness and involve the people and all the agents involved. The mission of PARTTEAM & OEMKIOSKS is the development of products and services, oriented to the consumers and aiming to contribute to the creation of technological and industrial innovation, with the objective of creating technological tools that facilitate and accelerate the tasks of any individual, adopting and valuing practices of Social responsibility to achieve the objectives. "Social responsibility is a theory that an entity, be it an organization or an individual, has an obligation to act for the benefit of society in general. Social responsibility is a duty that every individual or organization has to carry out in order to maintain a balance between The economy and the ecosystem. " 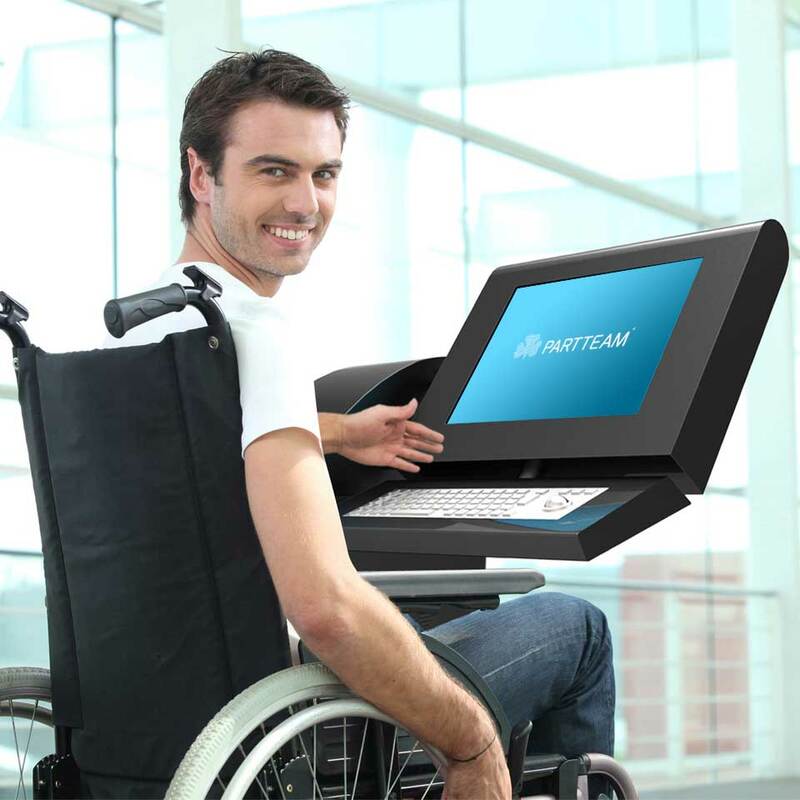 As such, one of our concerns is the accessibility of all citizens, and so we design and develop multimedia kiosks for people with reduced mobility that meet the Americans with Disabilities Act (ADA) standards. We commit ourselves to continuously improve our performance in quality management and development of digital kiosks and billboards, in order to promote communication and provide through our technology, tools that promote equal rights and access. We care about how PARTTEAM & OEMKIOSKS operates in society. This means not only supporting social causes through donations, but also ensuring accessibility to all people.